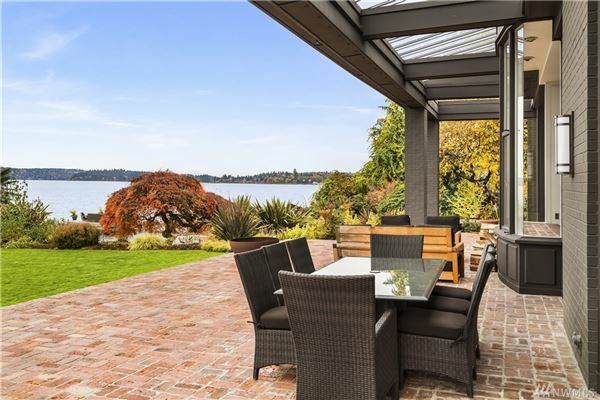 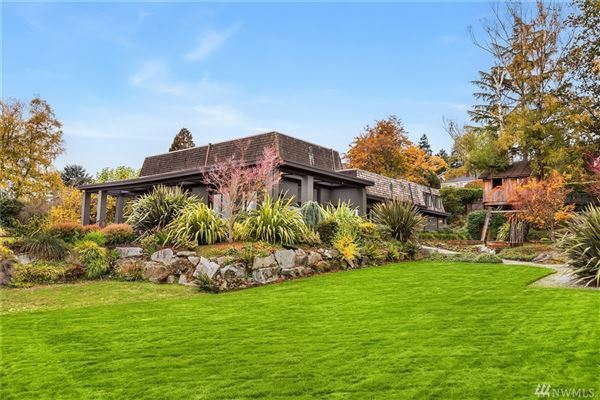 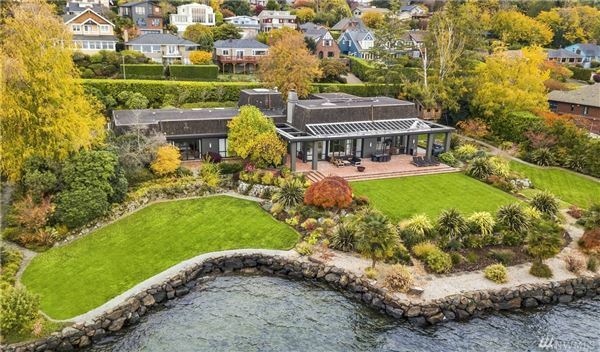 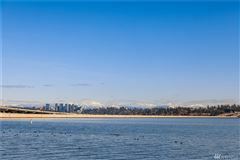 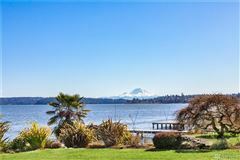 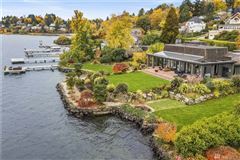 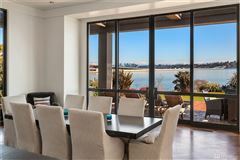 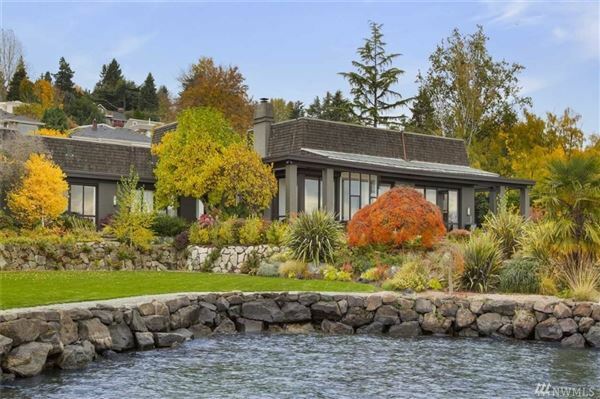 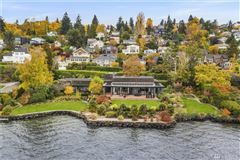 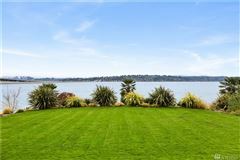 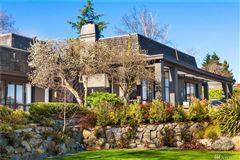 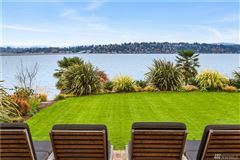 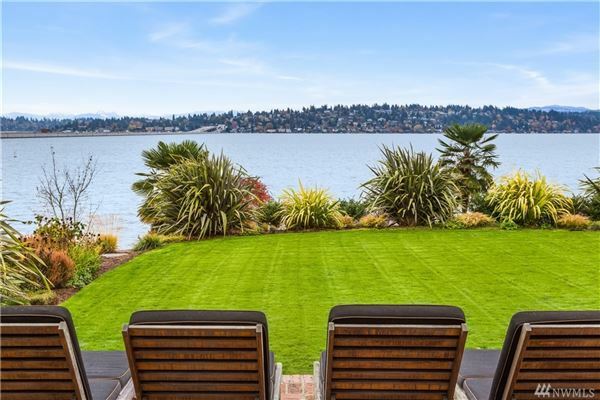 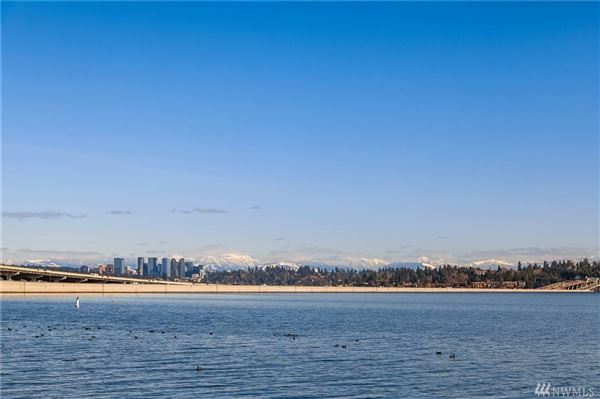 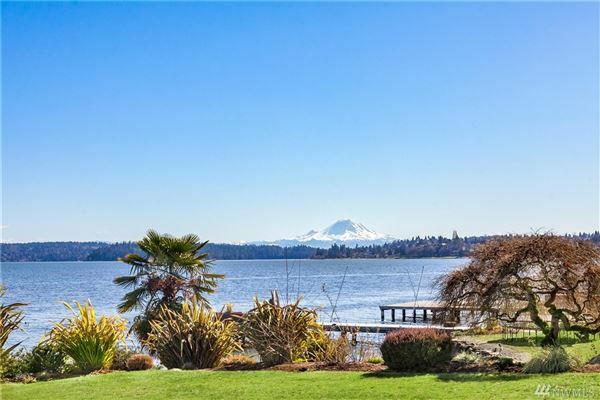 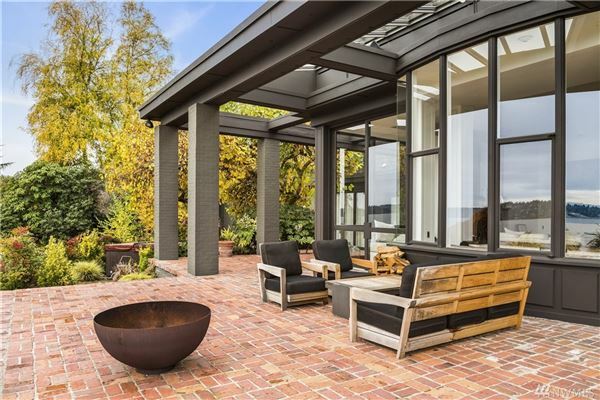 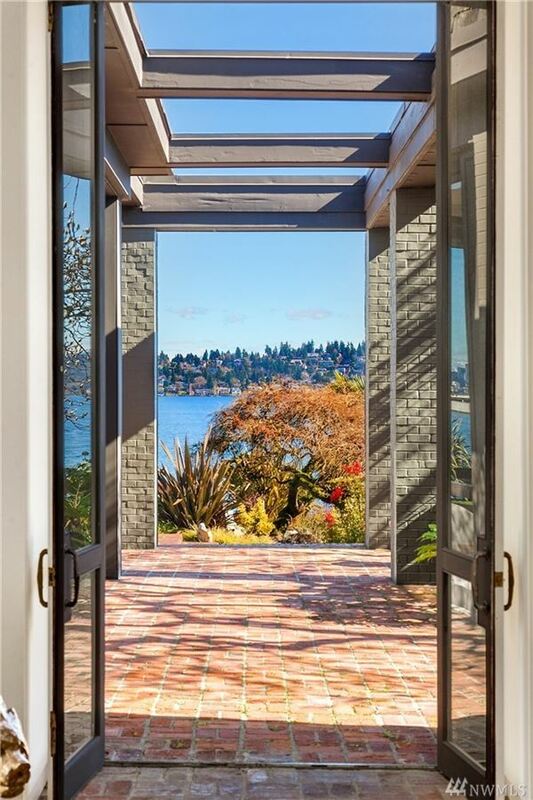 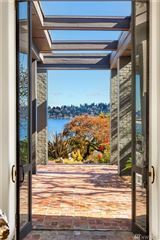 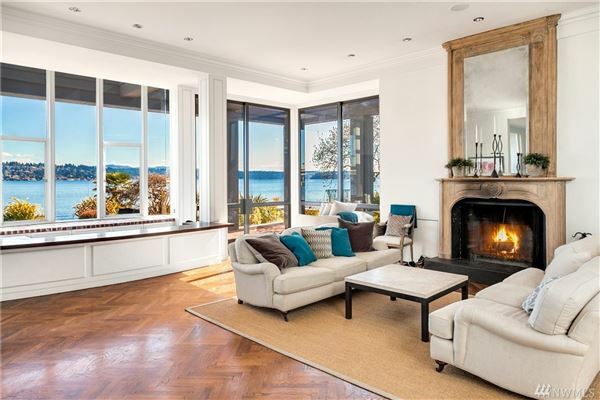 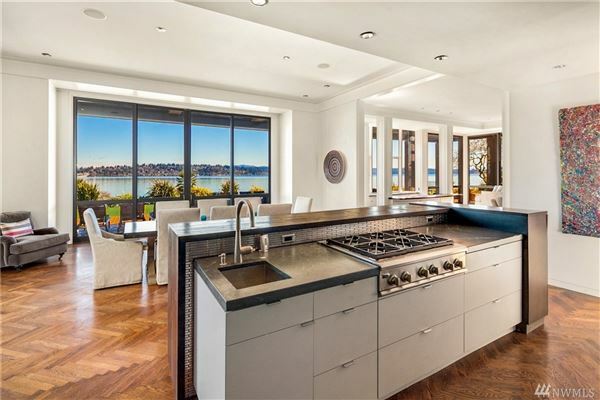 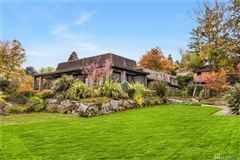 Privacy and elegance along the shores of Lake Washington! 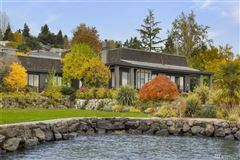 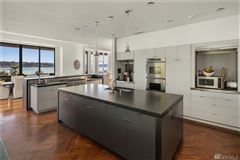 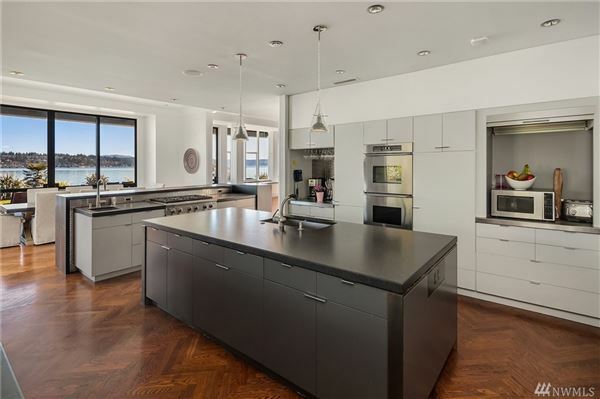 With a sophisticated and timeless relationship to the water, front row views of Mt Rainier and the Cascades and 180 front feet of the lake, this nearly one level home features four en-suite bedrooms, a beautifully appointed kitchen and an open floor plan that embraces the indoor/outdoor living, lively water views, and the light. 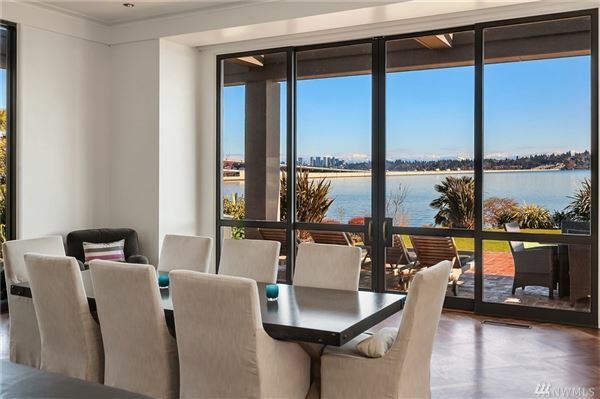 Immaculate grounds and mature landscaping of lush lawns, brick patios and stone pathways convey extraordinary lakeside living.